The share ownership system in the United States is fraying. And while its shortcomings have been largely behind the scenes, now they are going to cost some innocent shareholders money. 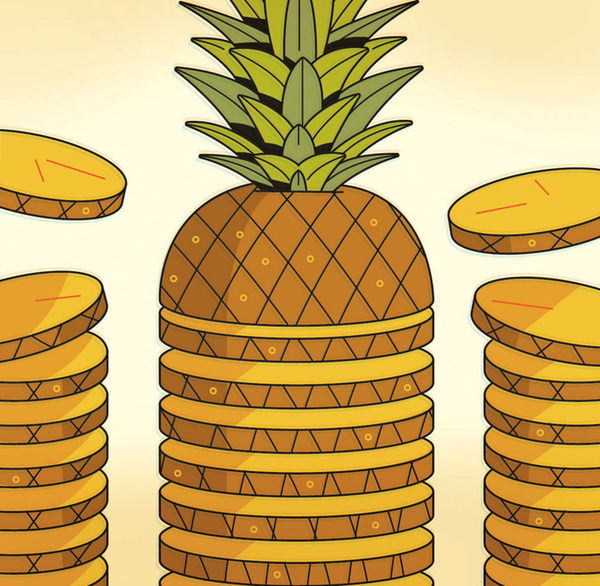 The problems have become apparent as a result of a Delaware court case over the $1.2 billion buyout of Dole Food in 2013. A $115.7 million settlement was reached after a lawsuit that accused David H. Murdock — Dole’s controlling shareholder and chief executive — and his lieutenants of conflicts of interest in taking the company private. Former Dole shareholders will receive $2.74 a share — a nice chunk of change in addition to the $13.50 a share originally paid in the deal. Still, because of the shareholder ownership system, some of those Dole shareholders may not get that money. The reason is that while shareholders think they own the shares they buy, they don’t in a sense. That may come as a surprise to those who check their online brokerage accounts daily or see traders on a floor of an exchange reacting to price movements. A market that in many ways is open and transparent is underpinned by a system of share ownership that can be anything but. Share ownership in the United States is conducted through the Depository Trust Company, which was formed after the back-office scandal of the early 1970s. At that time, trading volume on Wall Street became too much to handle, and brokerage firms were swamped by paperwork, falling months behind. The idea was to freeze ownership of company shares in one place. Now, when Apple or Microsoft look at their share register they see only the Depository Trust Company. When trading occurred, brokers would now transfer shares among accounts at the trust company. The brokers hold the shares on behalf of customers who were the ultimate beneficial owners. The result was that the Wall Street firms could now more easily track shares by having to deal only with themselves and the Depository Trust Company. Companies, meanwhile, were taken out of the process. Because shareholders are actually only beneficial owners, lots of odd things can happen. Alternatively, if a person wants to short a stock by borrowing it and selling it in the market — thereby betting that the stock price will drop — the broker may “lend” your shares without you knowing it. These issues have been brought to the forefront by the Dole case. In the settlement, 4,662 people and entities claimed 49,164,415 shares at $2.74 per share. There is just one problem: Dole had only 36,793,758 shares outstanding. These are probably not false claims. They go directly to the problems with the share ownership system. The first problem is that the Depository Trust Company sometimes can’t keep track of shares. When this happens, it puts a “chill” on the shares, meaning that it stops tracking them because it is too hard to do so in the final three trading days up to the closing of a merger. Instead, the Depository Trust Company sort of wings it, and the money in a merger is simply paid to the brokers who are supposed to filter it down to the investors. Usually this works, but apparently in the Dole buyout, there may have been some problems with the tracking. Because no records were kept by the Depository Trust Company and the process is too hard (read, too expensive) to reconstruct, no one really knows. The bigger problem, however, is the shorting issue. Normally, when someone shorts shares, they borrow them and then sell them. When the short position is closed, the investor buys back the shares and restores them to their lender. In a merger, the shorting party simply pays the merger consideration. There seemed to have been many shorts in Dole. Expectations that the company would obtain a higher sale price lifted Dole’s shares above the terms of the buyout offer. Other investors were apparently skeptical that would happen, and more than 2.9 million shares were shorted on the last day that the trust company tracked the trading of Dole shares. How to deal with this was the subject of the opinion in the Delaware court case. Essentially, the judge threw up his hands, saying that the plaintiffs could pay the brokers their money and be done with it. In other words, this happens every time. It became a problem in the Dole settlement only because with so much money being paid out, more shareholders than usual took the trouble to submit a claim. But there is not enough money. When short sellers borrowed shares they sold them to other shareholders in the market. Under the ruling, those third parties who unknowingly bought shares that were shorted will now not be paid. Instead, the holders of the shares that were loaned out will be paid. Those who bought shorted shares will be left to look to the shorters. The investors who shorted the stock did so expecting to make a few cents a share: the difference between where Dole had been trading above the buyout price and the price just before the deal closed. Now, they could be on the hook for millions of dollars — if they can be tracked down. And that is a big if. The Dole settlement highlights that as our capital markets become ever more complex, share trading and ownership are getting harder track. But in an age when computing power is cheap, why can’t we keep track of shares? Matt Levine of Bloomberg View, noting that the 40-year-old system “is starting to show its age,” has suggested that blockchain technology could be the answer. But is that really necessary? The system might be fixed just by adding some computing power to better trace shares. Of course, this would require the people who control the plumbing of the markets to invest millions and millions of dollars in improvements. Alas, there is no profit to be made on an upgrade. This is an area where the nation’s chief market regulator, the Securities and Exchange Commission, needs to step in. But even this will not solve the shorting issue. When you sign up with your broker you are signing up to short shares, whether you like it or not. People are then buying shares without your knowledge. This is a problem that the brokerage firms have created, and hopefully they will fix. At a minimum, they need to stand behind the shareholders here. After all, they helped create this mess. Steven Davidoff Solomon is a professor of law at the University of California, Berkeley. His columns can be found at nytimes.com/dealbook. A version of this article appears in print on March 22, 2017, on Page B4 of the New York edition with the headline: Dole Case Illustrates Problems in Shareholder System.